There's so much to take care of when a loved one passes away. Please allow us to try to help in one way. 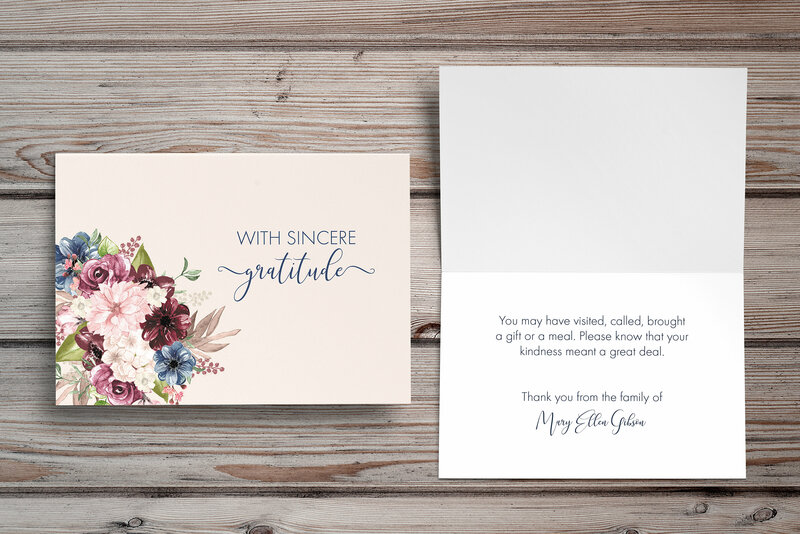 We'd be so touched to make you and your family beautiful, personalized sympathy acknowledgement cards. 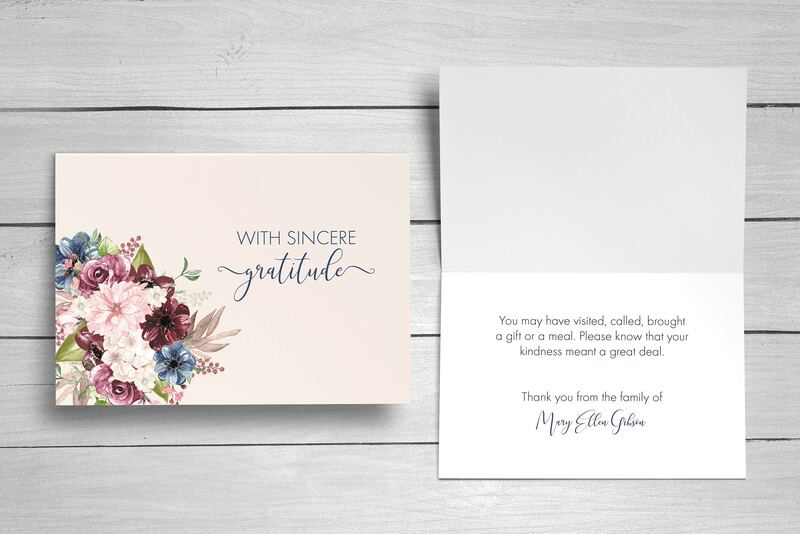 You're welcome to change the wording on this card to your liking at no extra charge. 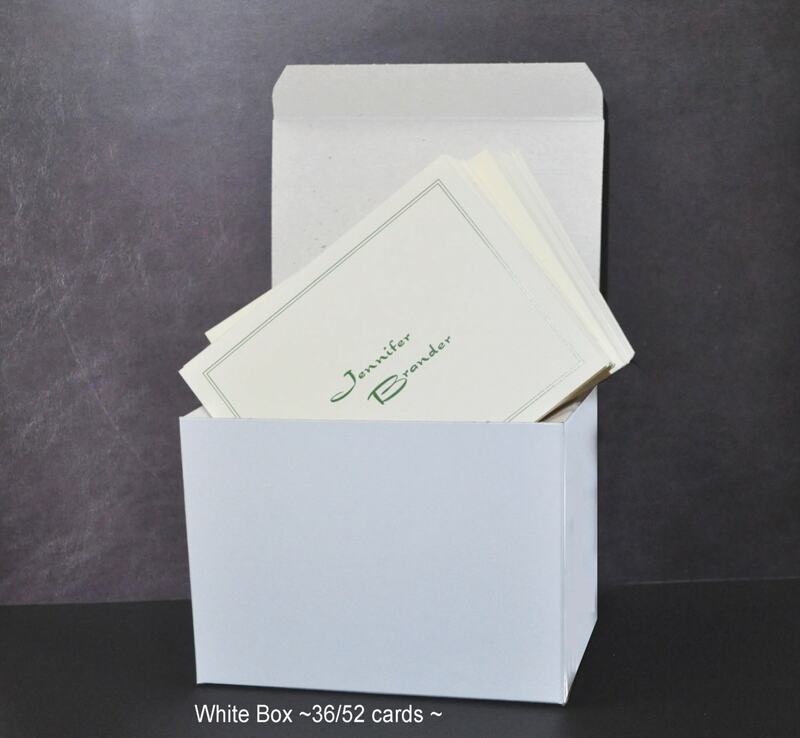 -The inside verse is shown in the photos. -You can choose any verse you would like. 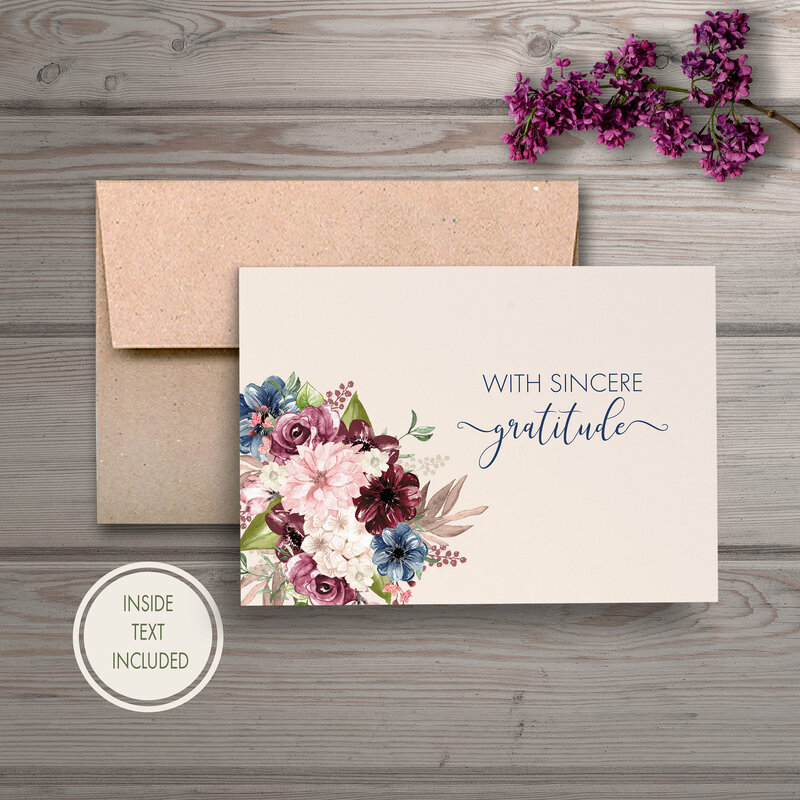 Please tell us in the "Notes to Seller" if you would like to change the wording and indicate what the personalization is. -Please select the amount you'd like in the drop-down menu on the right. They come in sets of 12, 24, 36, 52 and 100. If you need more than 100, please use the QUANTITY drop-down and choose "2" for 200 or "3" for 300. 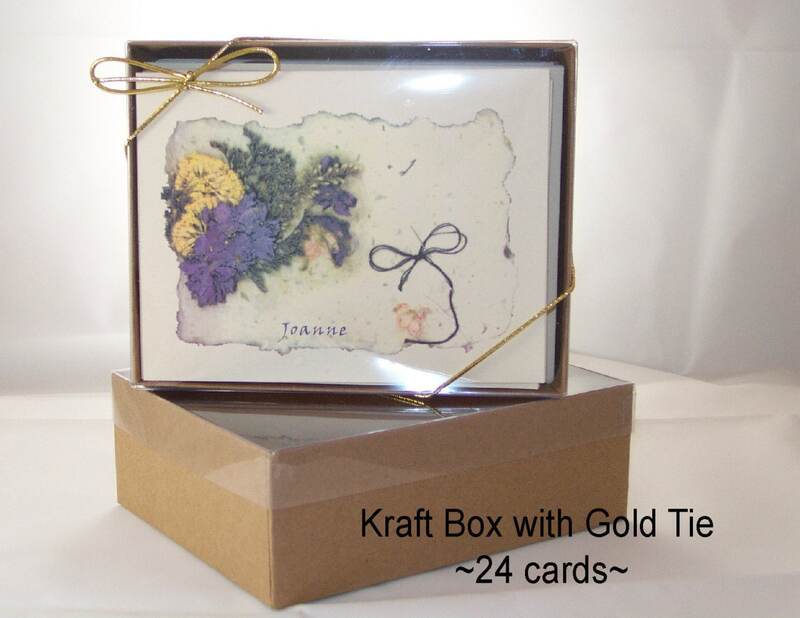 -Our beautiful, Kraft envelopes are included in the price. 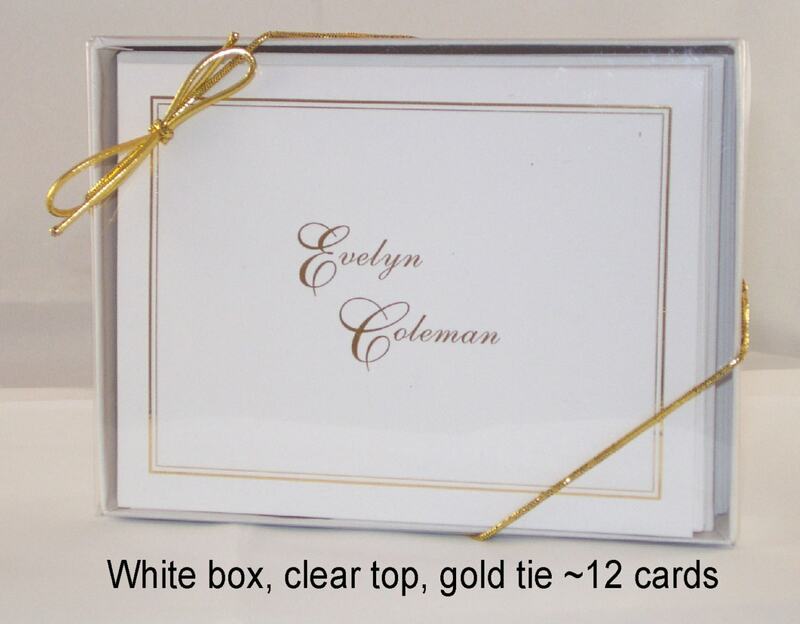 -These note cards measure 5.5" by 4.25" when folded and include an inside message. If you’d prefer the message be removed, please specify that in the “Note to Seller” when you check out. 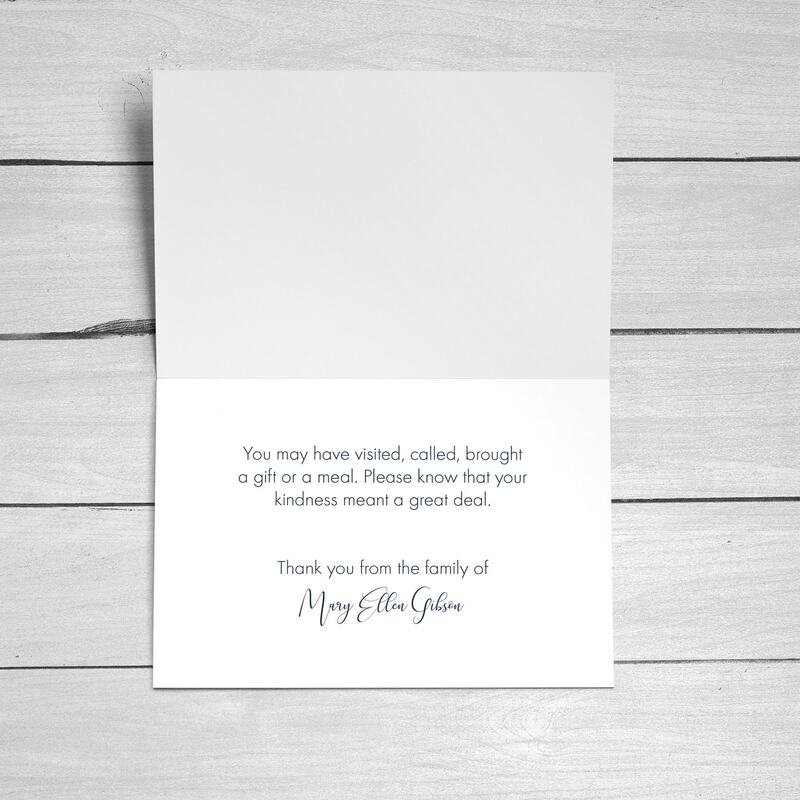 If that is not mentioned in the "Note to Seller," the message will be printed on the inside. So beautiful!! Thank you so much. 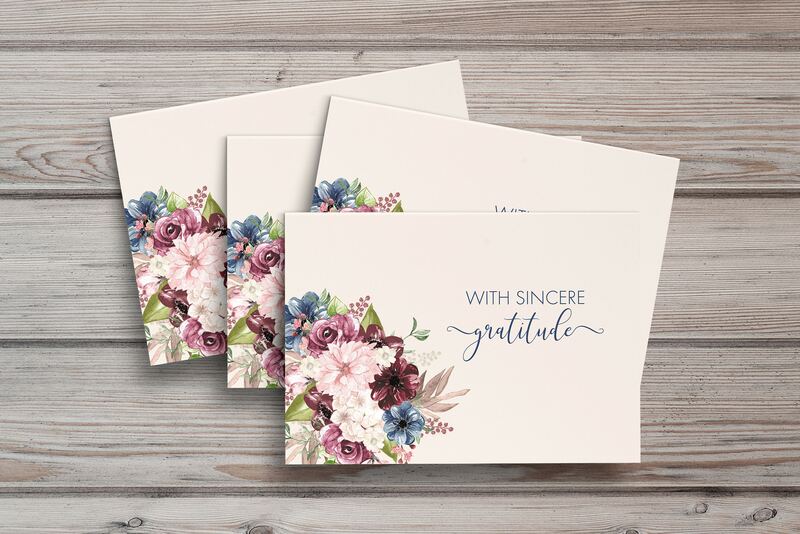 Made it easier for me to send out the thank you notes! !